You know there is nothing like a good keyboard; whether it is for work or for play you really cannot beat having a good keyboard under your fingers if you spend a lot of time sitting in front of a computer screen (or two). So when my favorite Bluetooth keyboard died on me a couple of days ago I was not looking forward to finding a replacement. It is not an enjoyable task at all. I stopped by multiple stores including Target, Best Buy and finally Staples. It was while ruminating about the money I would have to spend to get something decent that I walked around the end of the Keyboard isle and saw something that really piqued my interest. It was a keyboard that boasted of being green. It was a wireless keyboard that maintained it charge by the power of light. 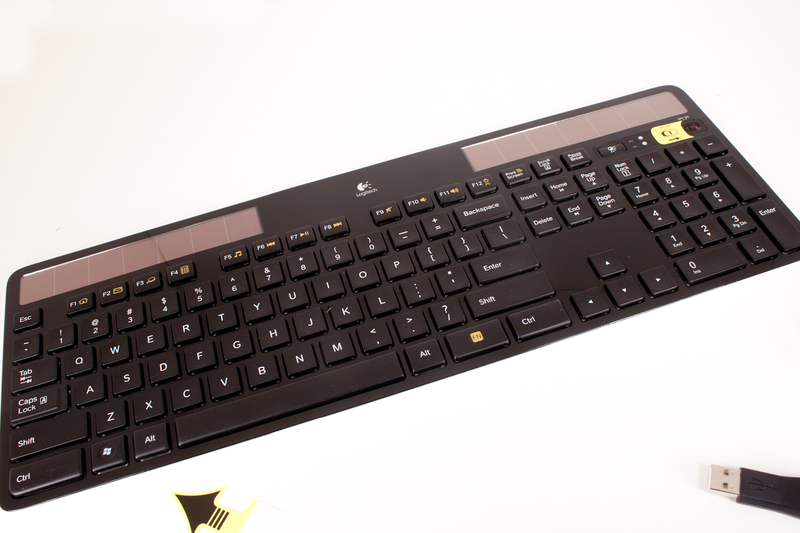 It was the Logitech Solar Wireless Keyboard K750. The best part about all of this, it was on sale. Normally this ultra-thin “Chiclet” style keyboard would set you back $80, but it was on sale for $60 ($59.99) was it worth the money? Read on to find out.